Onkyo is continuing its tradition of compact hifi with the introduction of three new package systems comprising the flagship CS-N775D Multi-room Receiver System, CS-N575D Multi-room Hi-Fi CD System, and CS-375D CD Receiver System. Onkyo say that they “blend component-grade musicality with effortless operation for people of all ages, especially those less familiar with network audio”. Two network models support Chromecast built-in, DTS Play-Fi*1, proprietary multi-room distribution for network and analogue audio, with the CS-N775D adding the AirPlay wireless audio streaming platform. Spotify, TIDAL, Deezer, and TuneIn*2 are integrated together with mobile music and audio on networked media server via the Onkyo Controller*3 app for iPad, iPhone, and Android™ devices. The receivers showcase a new JOG dial and display technology that helps users find and play music easily. The CS-N775D and CS-N575D feature information-rich LCDs providing visual reference when navigating content. Onkyo told us: “All three systems encourage families to make music a part of everyday life”. Central to the CR-N775D concept was development of patented 3-state Bitstream switching amplification. Where conventional switching amplifiers use only two digits (“on” or “off”) to reproduce the sound wave, 3-state Bitstream adds a third digit (or “neutral” position) to, say Onkyo, smoothly shape a waveform similar to that produced by an analogue amplifier. With 40W + 40W (4 Ohms, 1 kHz, 10%, 2-channels driven, IEC), the CR-N775D is paired with D-165 2-Way Bass Reflex Speakers, each fitted with Onkyo’s premium 130mm N-OMF woofer and 30mm ring-radiator tweeter in an MDF enclosure with thick baffle. Users can stream any music from Chromecast-enabled apps for iPhone, iPad, Android devices, Mac or Windows laptop, and Chromebook to the CS-N775D and any other supported speakers with Chromecast built-in. DTS Play-Fi technology, meanwhile, allows streaming from online services, media server, or device library over 5 GHz/2.4 GHz Wi-Fi to any number of compatible products via the Onkyo Music Control*3 App for iPad, iPhone, and Android phone/tablet. DTS Play-Fi connects systems for synchronised music in every room, and can also stream different music to different rooms. Onkyo also includes proprietary multi-room network and analogue*4 audio distribution baked into the Onkyo Controller app, which works with Onkyo NCP-302 speakers. Users can mirror audio from the CS-N775D in other rooms or configure speakers for grouped playback. AirPlay is also included to share audio from supported applications, such as iTunes, from mobile devices and PC over Wi-Fi, while Bluetooth technology offers a wireless connection to almost any device. In another first for Onkyo, portable HDDs*5 can function as a music server for the CS-N775D when connected to a USB input. Listeners can download music to PC and copy the files to the HDD via the home network. File playback includes 192 kHz/24-bit FLAC, ALAC, and WAV as well as Direct DSD 11.2 MHz*6, DSD 5.6/2.8 MHz*7, and compressed audio formats. Other entertainment is served via FM/RDS and DAB+ tuners, front-loading CD player, 192 kHz/24-bit-capable co-axial and optical digital audio inputs, and line-level input. IR input/output and subwoofer pre-out join gold-plated speaker posts on the rear panel. The CR-N575D receiver generates 20W + 20W (6 Ohms, 1 kHz, 10%, 2-channels driven, IEC). Original switching amplification developed by Onkyo’s engineers features Optimum Audio Control DSP tuning, which integrates amp and loudspeaker characteristics. The efficient switching technology delivers high power for increased speaker sound-pressure. Each supplied D-075 2-Way Speaker includes a 130mm pressed pulp-fibre woofer and 25mm soft-dome tweeter in a thick MDF baffle. The receiver features Chromecast built-in, DTS Play-Fi, Onkyo multi-room audio distribution, and the same on-demand music services as the flagship model with support for Onkyo Controller, Bluetooth streaming, FM/DAB+ tuners, and LCD with JOG dial. The CS-N575D supports HDD playback via USB input and full support for Hi-Res Audio including Direct DSD 11.2 MHz. 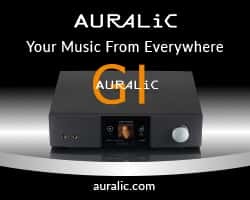 Connectivity includes USB inputs, 96 kHz/24-bit coaxial/optical digital inputs, line-level input/output, IR input, subwoofer pre-out, and headphone jack. The CS-375D is an affordable component mini-system that carries the same premium switching amplification with Optimum Audio Control as the CR-N575D receiver. It again features JOG dial for easy operation, and includes coaxial digital and line-level inputs to route TV sound through the system or connect a media player for network audio. FM/RDS and DAB+ tuners are also added. Bluetooth technology has the system powering up when detecting an incoming stream from an audio application. 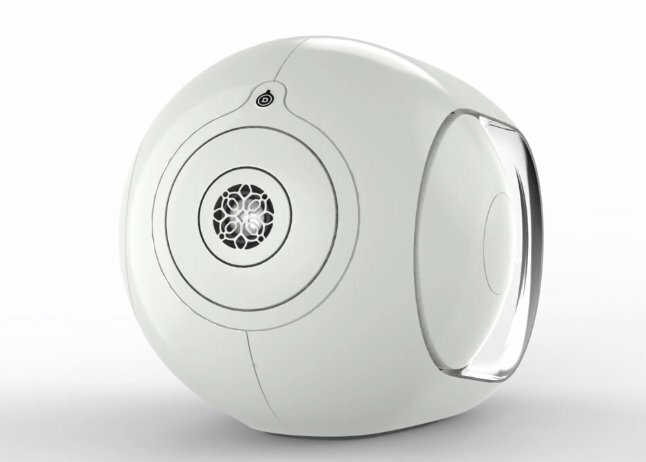 It offers USB audio from flash-memory devices, and the CD player reads CD-R/CD-RW and well as MP3-encoded discs. 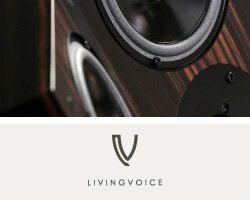 The same D-075 speaker system as the CS-N575D completes a package that’s pitched at those seeking a compact system on a modest budget. *1 DTS Play-Fi enabled with a firmware update. *2 Services may require a subscription and service availability is dependent on region. *3Please check minimum device and OS requirements at App Store or Google Play™. *4 Analogue audio distribution is enabled with a future firmware update. Transmission rates of 44.1 kHz and 48 kHz supported. *5 USB storage devices must be formatted to FAT32. *6 Direct (non-PCM) playback only. *7 Hi-Res Audio is supported over wired LAN or USB only.